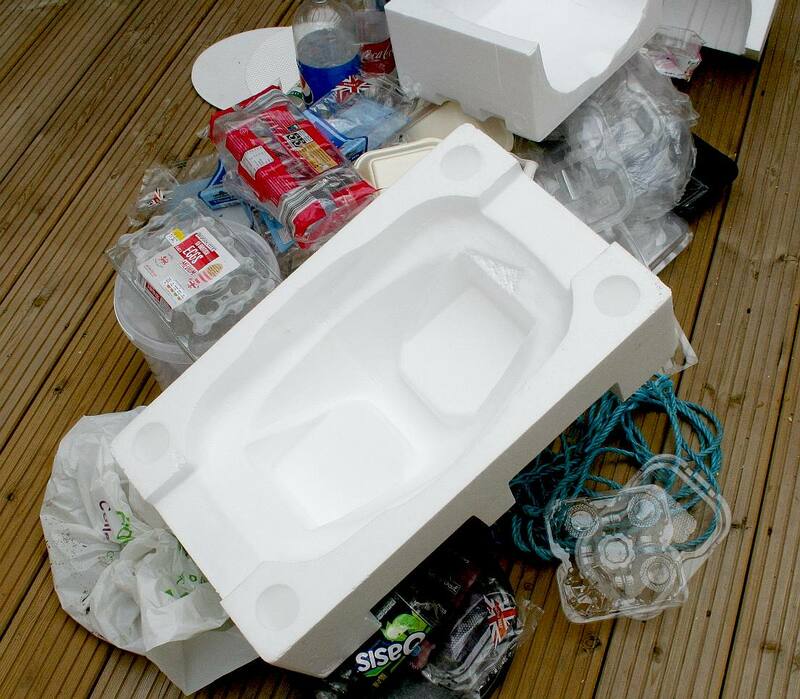 PLASTIC FIRST - Not bad styling for this ground breaking use for marine plastics. Adidas tapped Parley for a unique new concept: an environmentally friendly take on the Three Stripes’ Futurecraft 3D sole unit that employs recycled polyester and gill net for its construction. 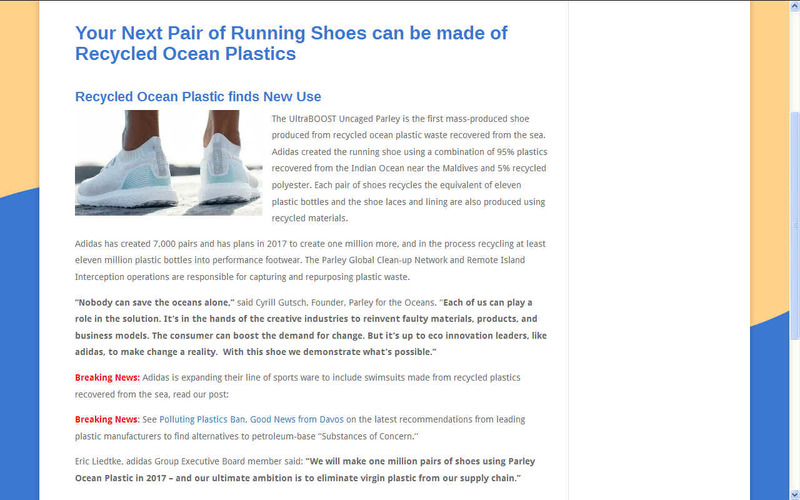 Now the two are taking things a step further for World Oceans Day and joining forces to create a first of its kind runner. First showcased last year at Parley’s “Oceans. Climate. Life.” talks in New York City, the design utilizes Parley’s signature Ocean Plastic, which is made up of coastal plastic waste from the Maldives and illegal deep-sea gillnets retrieved by partnering organization Sea Shepherd. The result is a sign of things to come from the German sportswear giant: adidas will craft additional footwear from Parley’s recycled plastic throughout the months ahead. Traditionally shoes were made from leather and cloth. There is nothing quite like the smell of new leather shoes and there will always be a market for high quality leather products. That said, in a modern world we expect more performance from our footwear, especially in the sports department where modern material can give any athlete or sporting enthusiast a huge advantage in terms of comfort and performance. Herald the birth of the modern training shoe. Shoes that are made of materials such as rubber and plastics to enhance breathing or cooling and to protect the feet with contoured soles, shock absorption and weight reduction. All of this with style and colour that was not possible with traditional materials. FRONT RUNNER - A shoe for all lovers of marine life. Great for World Oceans Day and any other marine or sporting event where you want to make a statement. Apart from that, we suspect it is a nice trainer to add to your wardrobe. The UltraBOOST Uncaged Parley is the first mass-produced shoe produced from recycled ocean plastic waste recovered from the sea. 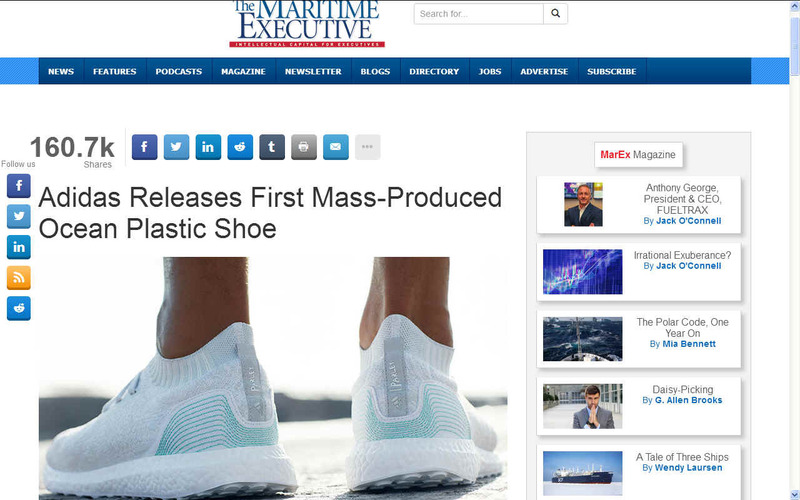 Adidas created the running shoe using a combination of 95% plastics recovered from the Indian Ocean near the Maldives and 5% recycled polyester. 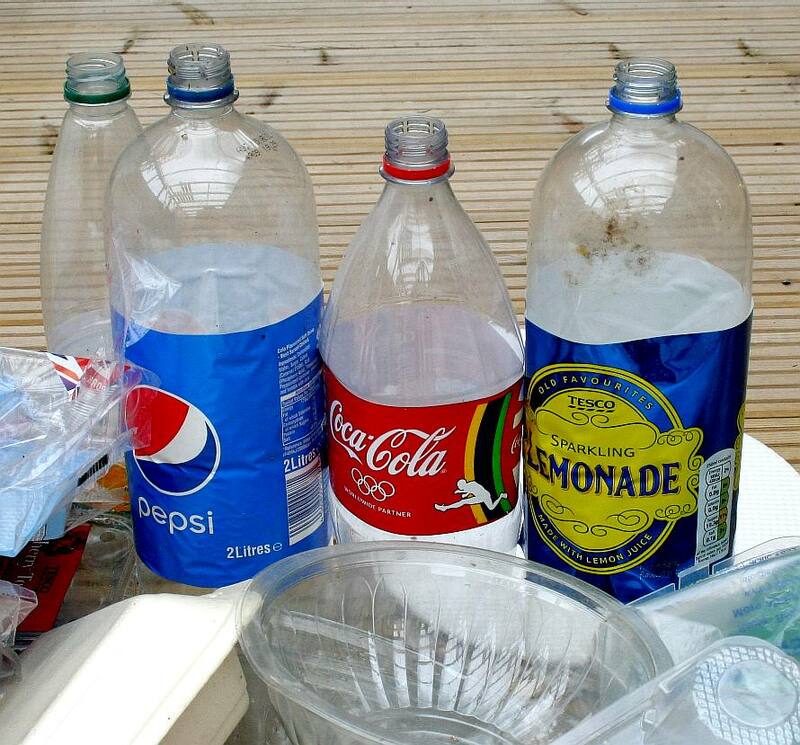 Each pair of shoes recycles the equivalent of eleven plastic bottles and the shoe laces and lining are also produced using recycled materials. Adidas has created 7,000 pairs and has plans in 2017 to create one million more, and in the process recycling at least eleven million plastic bottles into performance footwear. The Parley Global Clean-up Network and Remote Island Interception operations are responsible for capturing and repurposing plastic waste. Eric Liedtke is the adidas Group Executive Board member responsible for Global Brands.